The Jack Douch Memorial Trophy for cricket in the community was won this year by Kingston Lacy Cricket Club. The trophy is provided by the league sponsors, The Dorset Funeral Plan, and is named after Jack Douch, a cricket enthusiast and war hero. From the age of 14 Jack worked for his father’s firm, F.C. Douch and Son in Wimborne, which now has seven funeral branches across Dorset. In 1999 they introduced The Dorset Funeral Plan, which has been sponsoring the cricket league for nine years. Jack’s family decided to mark his passing two years ago with the award for the club that has done most for the game in their community. Kingston Lacy were awarded the trophy – in its second year – in recognition of the spirit that pulled them through the season. Before a ball was bowled a car tore across the square, causing a considerable amount of damage to the pitch. League chairman John Ridout said: “The season could have been over for them before it had begun. “But the setback acted as a catalyst for the club to pull together and repair the damage and start the campaign. “Not only did the club compete the season but they gained promotion on the last Saturday. “What was also remarkable about the story is the support that the cricket community gave the club. There were many offers of ground shares and swapping fixtures to enable the pitch to recover. 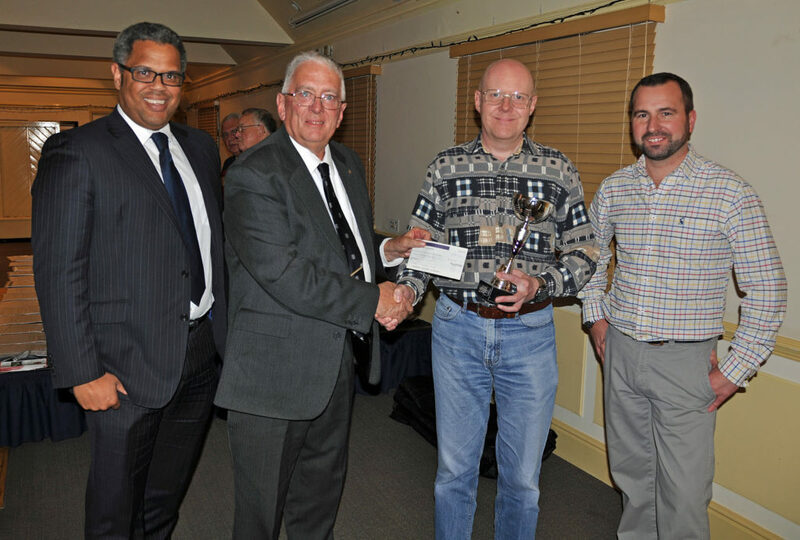 Nigel Hymas from the club picked up the trophy at the Dorset Cricket League’s AGM, held at the Crown Hotel in Blandford. Nick Douch, managing director of the Douch Family Funeral Directors which runs the Dorset Funeral Plan, and grandson of Jack, said: “Kingston Lacy are worthy winners, especially after the problems with their pitch.